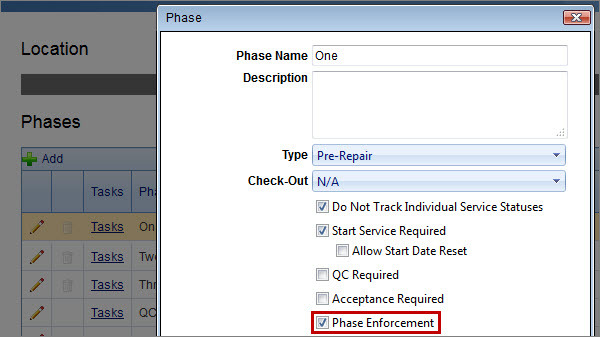 Now you can define phase enforcement for particular phases of a repair location which means that some phases must be done in a certain order, while others can be done in any order. Now users with the Administrator role can undo the close of repair orders. 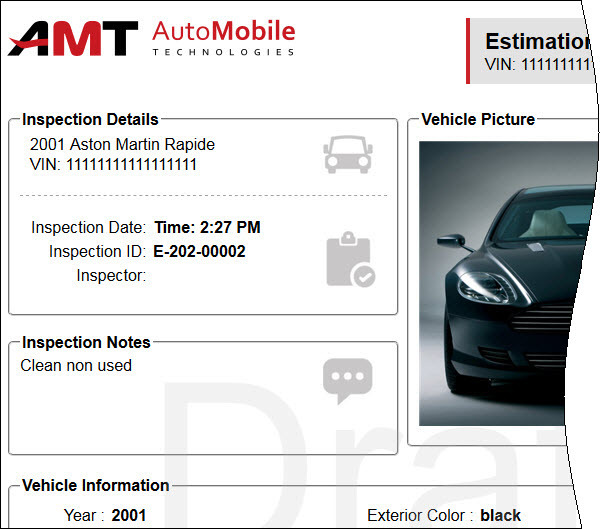 Now you can print inspections in the Condition Report format that shows details of inspection, vehicle, and services, including multiple pictures that illustrate vehicle condition. Note You need to assign the Condition Report print template to the appropriate inspection type in order to see the condition report when you click the Inspection# link on the Inspections page. Now you can merge retail clients that are automatically detected as duplicates. On the Company tab, click Clients; on the Clients page click Duplicates tab, select the check box next to clients you want to merge, and then click Merge. 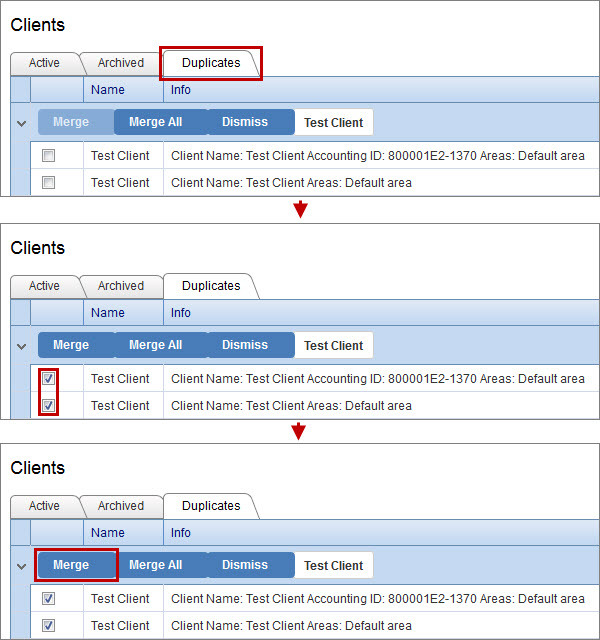 You can click Merge All to merge all clients within the group of duplicates. You can click Dismiss to clear all selected check boxes within the group of duplicates. Retail clients are automatically detected as duplicates if they have the same first name and email, or last name and email, or phone number and email, or address, city, and state. Merged client gets entries and settings from a duplicate client which information is more complete than others. We have added the Retail Clients Amount setting that limits the number of retail clients shown on the Customers screen in the Retail mode on device. 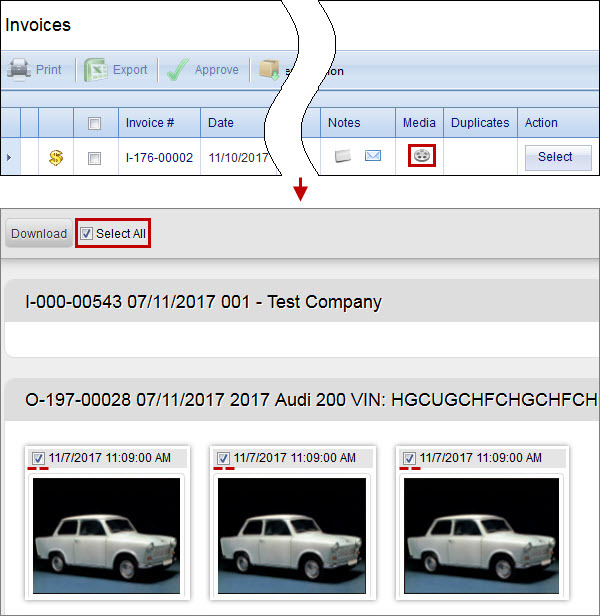 We have added the Select All option to invoice media library, so now you can download all invoice images without selecting them one by one. On the Invoices page, click the icon in the Media column next to the appropriate invoice, and then select the Select All check box and click Download. 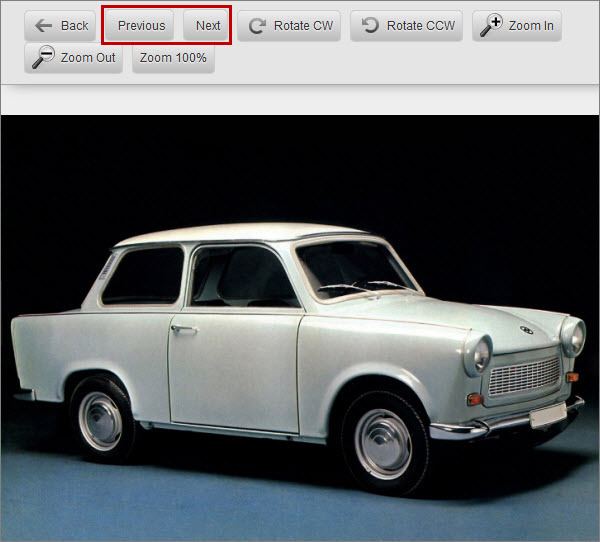 We have also added the Previous button and the Next button to the preview page, so now you you don’t have to go back each time you want to see another image. 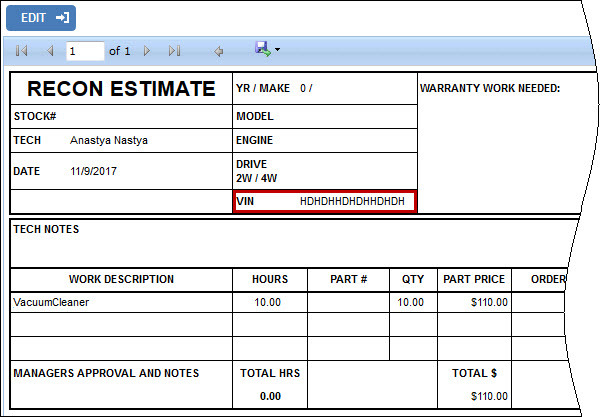 We have added the VIN field to the Parts Ordering form. On the Inspections page, point to the Select button in the Action column next to the appropriate inspection, and then click Parts Ordering.